Footers are an essential component of many masonry chimney installations and provide support for the chimney's extreme weight. A chimney footer that is poured inadequately or lacks strength can lead to major structural problems later on. As a general rule, footers should be poured at a thickness of at least 1 foot. The length and width of the pour depends on the size of the chimney and should extend past the chimney's foot print at least 1 foot in each direction. A masonry chimney can weigh tens of thousands of pounds, so a properly installed footer is essential to keep it supported. A strong, well-poured footer at least 12 inches thick is necessary for maintained chimney support for most chimneys. Larger, heavier chimneys require thicker footers. Review local building codes if you're not sure of the appropriate size for your situation. Extend the footer 12 to 16 inches further outward in all directions from the footprint of the planned chimney. Pouring footers is one of the first steps completed during the construction of a house. In northern U.S. regions or areas prone to frost, it is essential to pour footers below the frost line. Otherwise, temperature changes could cause the soil to shift and the foundations to crack. National building codes recommend that footers be placed 12 inches below the frost line. A bed of gravel should form the base of the footer, and rebar should be placed within the concrete before it dries. Avoid constructing footers over tree roots or on organic soil such as peat moss. Soil that is not tightly compacted may not adequately support the footer. The cement should be poured over a bed of gravel for added security. Steel bars with a diameter of 5/8 inch should be installed 3 inches above the footer's base and placed every 16 inches. This ensures the footer remains intact. 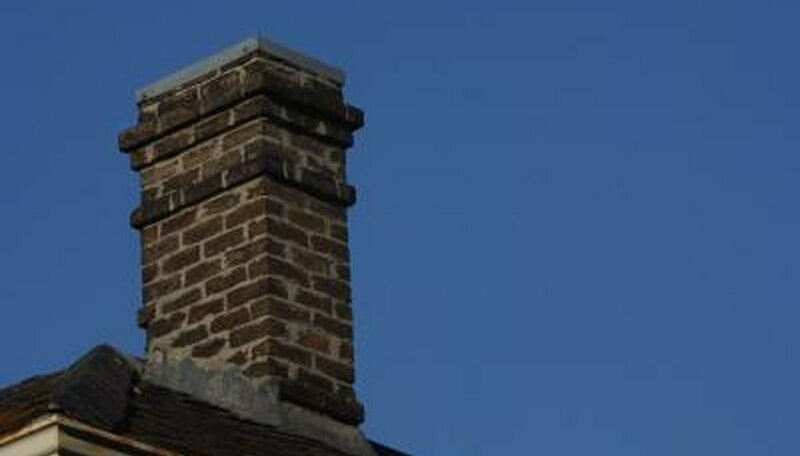 A chimney that is poorly reinforced may lead to cracking later on. If the chimney's structure fails later, the entire chimney and the footer may need to be torn down and rebuilt. Concrete footers are necessary to support all the heaviest components of a house. Concrete columns, walls, pilasters and posts all require concrete footers at the house's foundation, under typical circumstances. The installation of footers may be different if you're working with a concrete slab foundation. In that case, footers may be poured at the same time as the foundation itself, or may not be needed at all.